Described as “the best southern boogie trio from Texas since ZZ Top” by the Cincinatti Post, The Von Ehrics have shared the stage with the likes of Mudhoney, Reverend Horton Heat, Dale Watson and Supersuckers and are headed to Australia for the first time to play their own unique brand of country punk/punkabilly. 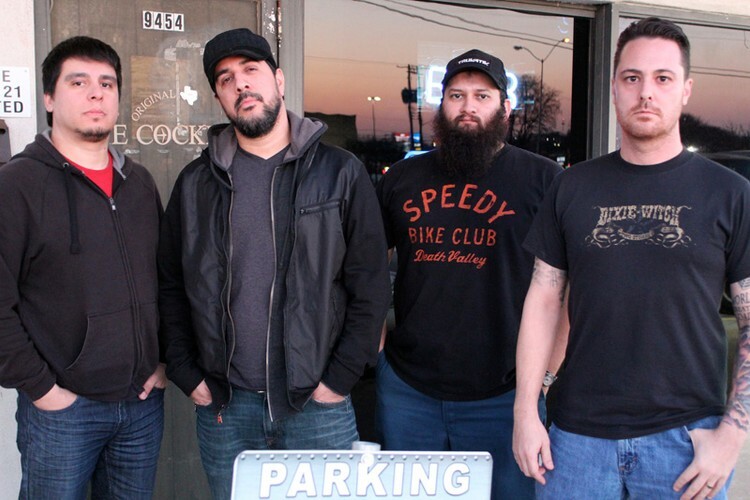 Formed in North Texas in the summer of 2000 The Von Ehrics draw heavily from the country and gospel sounds that echoed through their homes as kids as well as the punk rock and metal they discovered as rebellious teenagers. Known for their blistering live shows, The Von Ehrics have released four critically acclaimed albums and toured the US endlessly developing a reputation as one of the best road bands in the country and a must-see act for any music fan. An unlikely concoction of influences is what makes this band unique. “I grew up around country music,” states Robert Jason Vandygriff. “That’s what my father did for a living. It’s in my blood. I saw no reason why I couldn’t incorporate it with punk music that I love. So we did.” And they did it well. After a few changes since the original lineup, the band now consists of Robert Jason Vandygriff (Vocals/Guitar), Adam Nanez (Lead Guitar), Joseph Rosales (Bass) and Gabe Aguilar (Drums). Renowned for their killer live shows and fifth gear rock’n’racket, do not miss The Von Ehrics as they perform at various venues in March.